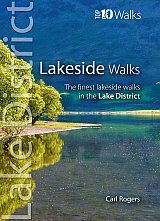 This attractive and cleverly structured guidebook gives walkers the ten finest routes around or beside the Lake District's best-known lakes, in a popular pocketable format. With clear information, an overview and introduction for each walk, expertly written numbered directions, Ordance Survey maps, superb, eye-grabbing panoramic photographs, and interpretation of points of interest along the way, these guides set a new standard in clarity and ease-of-use. Featured lakes include: Windermere, Coniston Water, Rydal Water and Grasmere, Ullswater, Thirlmere, Derwent Water, Buttermere, Crummock Water, Loweswater, and, Ennerdale Water.